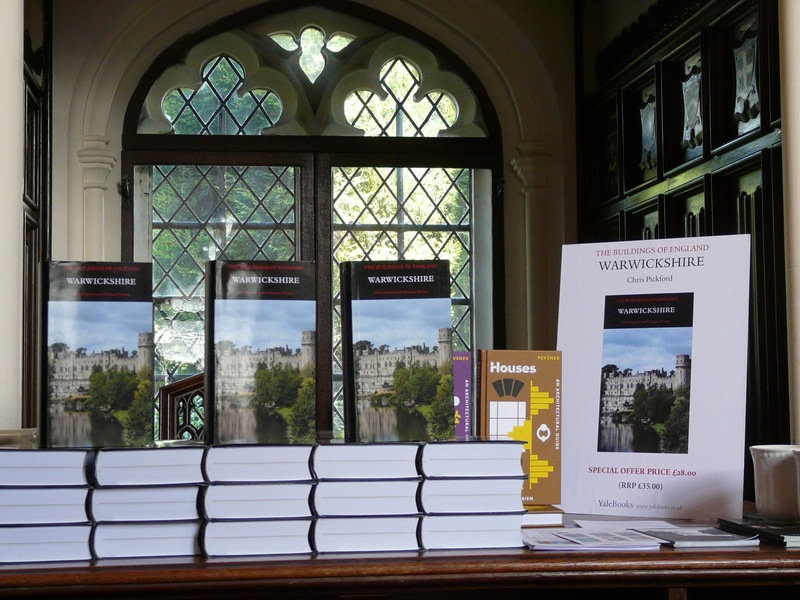 The definitive guide to the buildings of Coventry and Warwickshire has been revised after 50 years – and was launched at a venue chosen with some significance by the revising author. 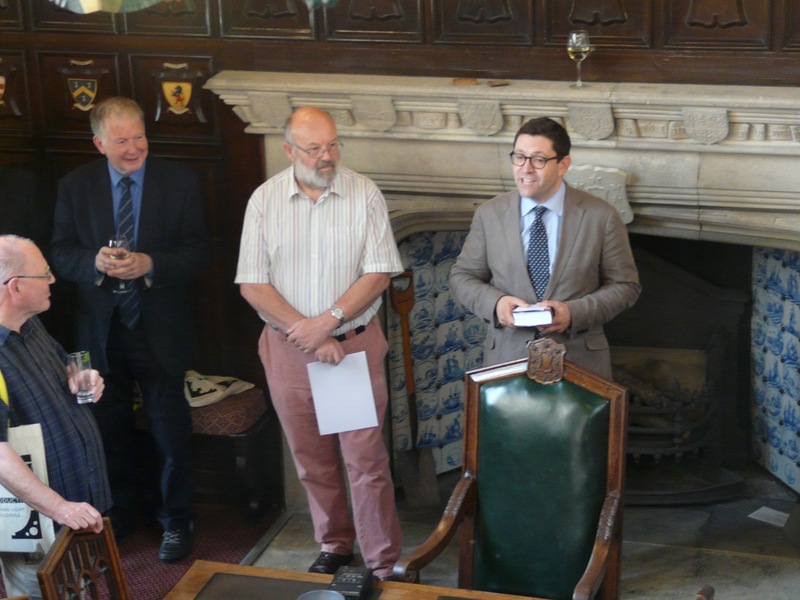 The Buildings of England Warwickshire, by Chris Pickford and Nikolaus Pevsner was launched at the Governor’s House at the Chamberlaine Almshouses in Bedworth. 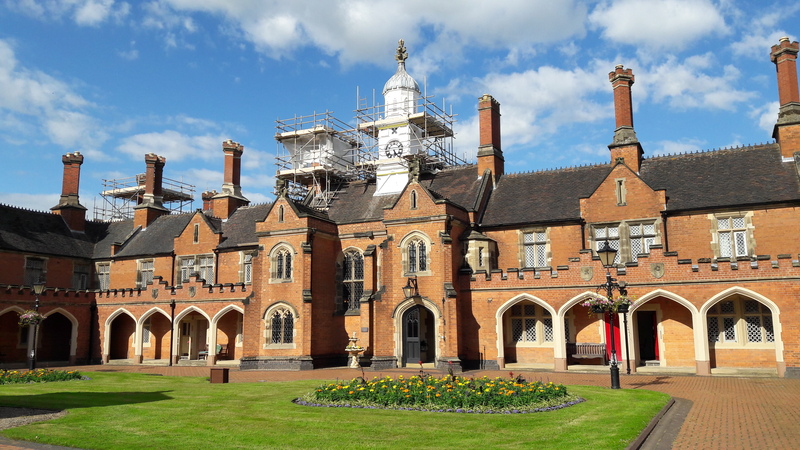 Mr Pickford, formerly Bedfordshire archivist, who has spent six years revising the 1966 original by Pevsner, said he had considered many grand houses for the launch before deciding on the almshouses just off Bedworth’s pedestrianised precinct (above). He said many more buildings had been included in this revision and he aimed to right wrongs where necessary – Bedworth now has three and a half pages, including an engraving of the Chamberlaine Almshouses from 1839, and a suggested perambulation around the town to take in the sights. He grew up in Warwickshire, and said he first explored the county’s buildings with the original Pevsner volume as his guide. A sixth form work experience at Warwickshire’s county record office set him off on a career in the archives. The 801-page book explores the county and Coventry in depth, commenting on the history and architecture of buildings. It covers churches, public buildings, plus other structures such as folly towers, toll houses, railway viaducts, mansions and other houses. There are walks around towns included so readers can use it to explore places. Artworks and memorials inside buildings are also described and commented on, with an index of architects and artists so you can locate work by those you are interested in. The new version is also two and a half times the size of the first, so is a thorough guide to the buildings of the county. Information from the original Pevsner remains and is expanded on where Chris has more to say, though of course many buildings have been or gone since the original. Some of Pevsner’s more waspish comments have been questioned and challenged. Someone he met at a remote farmhouse told how they had let Pevsner in, then wondered if they should have done, it being just a few days since the Great Train Robbery. He said he hoped he had brought to the new book 50 years’ knowledge of the county and its buildings, and he in particular wanted to include more information on local architects and their buildings. Having road tested the new volume at various places in the county, it’s certainly true that it now answers many questions about who was the architect or firm behind various buildings. There are also of course many new buildings included; in Pevsner’s day Coventry University as such did not exist, and there are references to Lanchester College of Technology and the College of Art, but in the new volume it has three pages to itself. Similarly, the University of Warwick had less than a page referring to the plans, but now it also has nearly three pages. Many other new buildings are also of course included for the first time. • The Buildings of England, Warwickshire, by Chris Pickford and Nikolaus Pevsner is published by Yale University Press at £35.